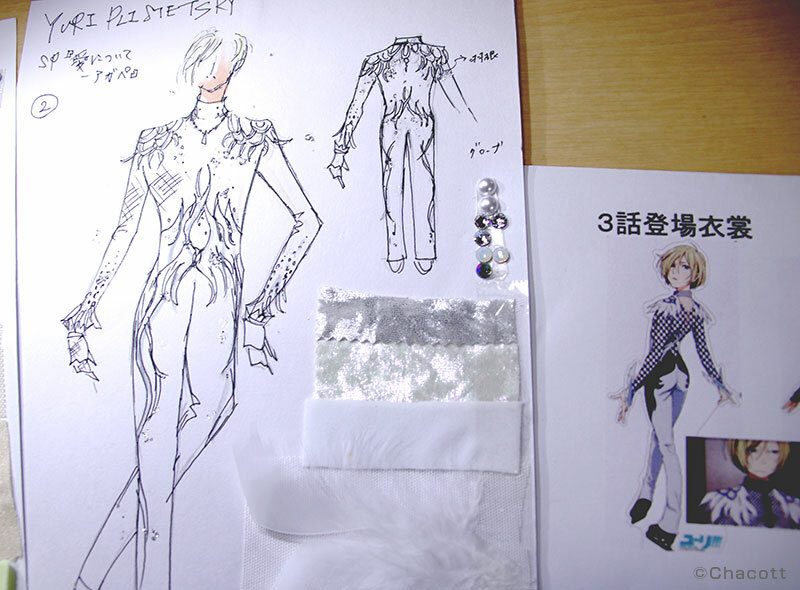 Third post on this series covering Yuri On Ice’s design work, translated by Good Haro. You can find the original here. So, we finally got to see the showdown between the two Yuris in episode 3, and with programs on a similar theme at that. First I’d like to ask you about Japanese Yuri’s costume, what kind of design did you come up with for him? 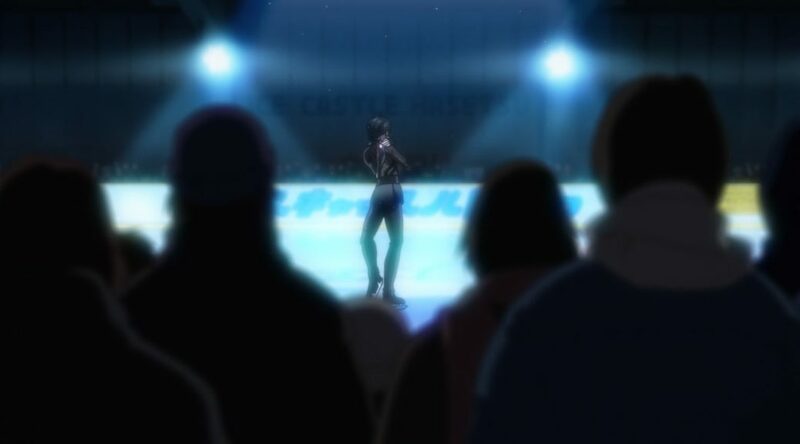 Actually, it showed up a little in the first episode and even the second a little because I was asked to design the costume with the idea that Yuri would be skating in one of Victor’s old costumes in mind. So I designed it to fit Victor’s image rather than Yuri’s. Of course, Yuri selected it himself, but he’s still a bit anxious about wearing his idol’s outfit, so I wanted it to have a somewhat mis-matched feel to it. 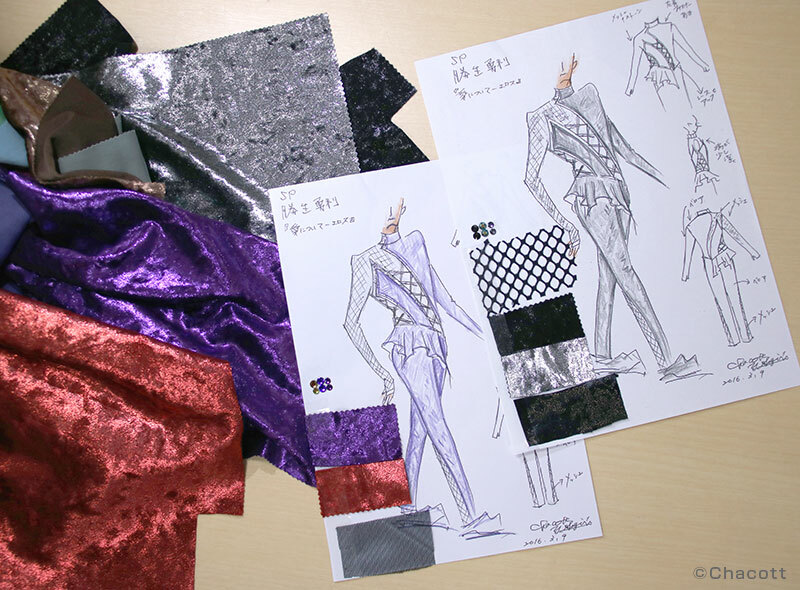 Ms. Yamamoto gave me the note that although Yuri is a man, he would be performing as a woman in this program. While Yuri is performing a female role, she wanted the costume to feature both masculine and feminine elements, so I added a frill that looks something like an asymmetrical half-skirt to really nail the effect during spins. The way it attaches to the rest of the garment was an important design element even––I wanted it to stretch a bit where it was attached to conform to the figure. I also made the hem asymmetrical so it would move like a handkerchief skirt. I came up with two different color schemes for the design, both dark, mature colors: a black version and a purple version. If Yuri had been [performing] as himself I would have opted for a blue color scheme, but I settled on purple to evoke a more feminine feel. They went with the black version in the anime, but the design is a little different, isn’t it? The anime version has big, sparkly embellishments and the frill is lined with a passionate red underneath. Why don’t you tell us about Russian Yuri’s outfit next? This is actually one of my personal favorite costumes. First, I was inspired by how different it seemed from his usual image and the idea that memories of his grandfather factored into the routine. I was going for a sort of angelic, inhuman look, so I opted for a bodysuit-type design. 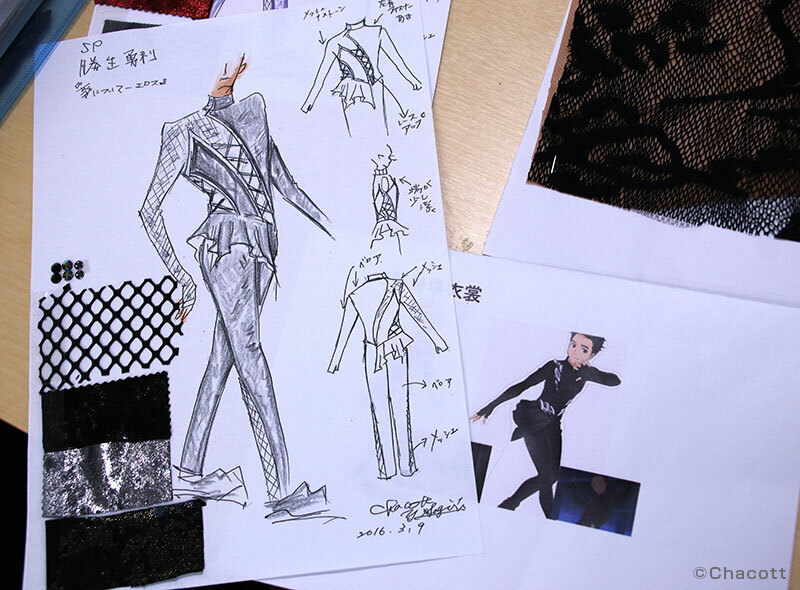 It might be hard to make out in the image, but the base of the costume is made up of silver and ivory shimmery velour, white stretch tulle and white two-way stretch fabric. And the adornments are made up of crystal, opal, and pearl style rhinestones and real feathers, creating a sort of white gradient.